By Robin Wauters , September 16th, 2016. Investment bank and M&A advisory firm GP Bullhound is bullish on Spotify, as demonstrated by a new report released by the firm this morning. GP Bullhound regularly publishes research reports, and actually released a report on Spotify a year ago as well. That’s not surprising when you consider the firm holds a stake in the Swedish tech star. 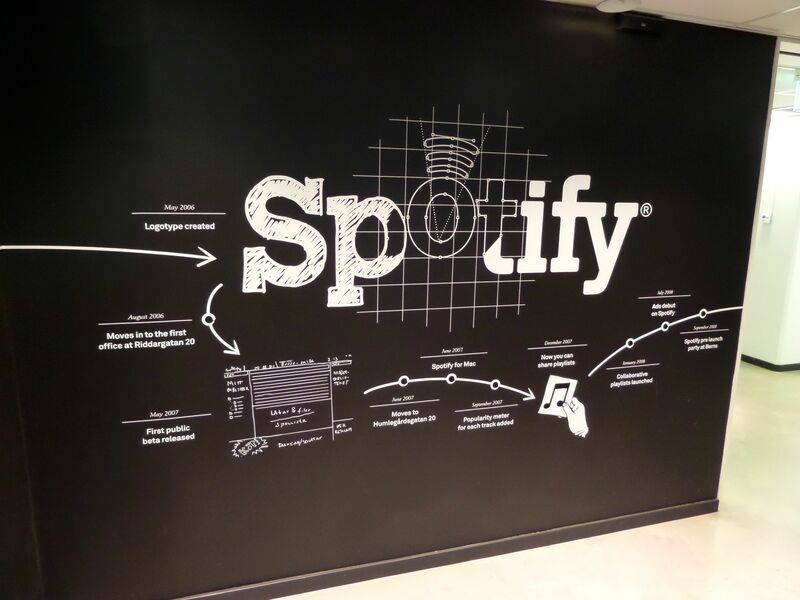 So how bright a future does GP Bullhound predict for Spotify? While most of the headlines on the report so far have focused on the possibility of Facebook buying Spotify, which received a small mention based on well-who-knows, I think it’s more interesting to look at GP Bullhound’s long-term growth and valuation predictions for the company. Spotify just announced that it has hit 40 million paying users, which shows accelerating growth, and thus lends credence to GP Bullhound’s forecast of 50 million subscribers in 2017, and 100 million paying Spotify users by 2020. If the company pulls this off while managing to increase its advertising revenue and general income from non-subscribers, Spotify could fetch a valuation of $53 billion by then, GP Bullhound posits. That would be the best-case scenario, the firm argues, but the base case – yes, better not call it a worst-case scenario – would be a $20 billion valuation if (when?) the company pursues an initial public offering next year. That is, assuming the company manages to pull in $5 billion a year from both paying and non-paying users. One thing is for certain: the IPO clock started really ticking for Spotify when it took on as much as $1 billion in debt financing earlier this year. The company has a $8 billion valuation based on recent financing rounds; a $20 billion valuation at IPO is relatively conservative. If Spotify can provide solid growth and revenue-per-user numbers, I believe its current valuation could be fourfold when it files to go public, or roughly $32 billion. Would we rule out a company like Google (ok, fine, or Facebook) still snapping up the company before its shares hit public markets? No, because we’ve seen stranger things happen, but personally I believe 2017 will finally be the year we’ll see a Spotify IPO – and a successful one at that. You can download GP Bullhound’s report here if you want a look at it yourself.